These Japanese gardening knives were designed to be the ultimate multiple use tools in your garden. 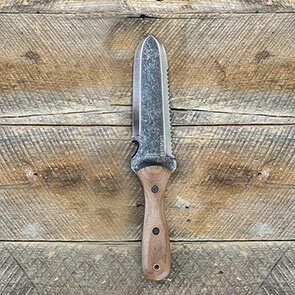 Great for digging, planting, cutting and trenching. 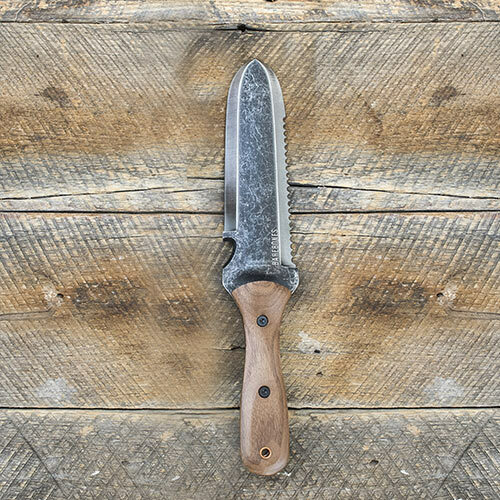 Inch marks on the tempered-steel blade can measure depth when planting. Each has a straight and a serrated edge, which is perfect for cutting through roots. Twine cutter also acts as a bottle opener. 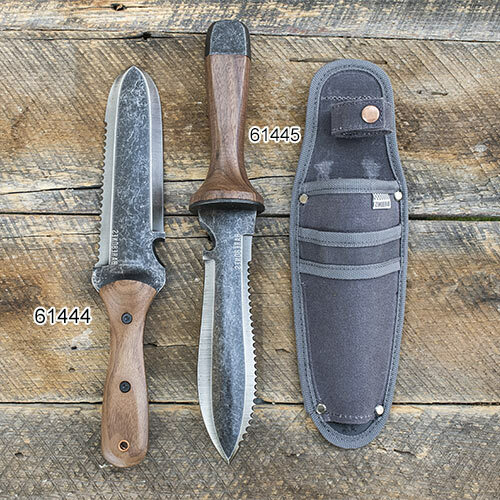 Strong walnut handles provide comfort and durability. 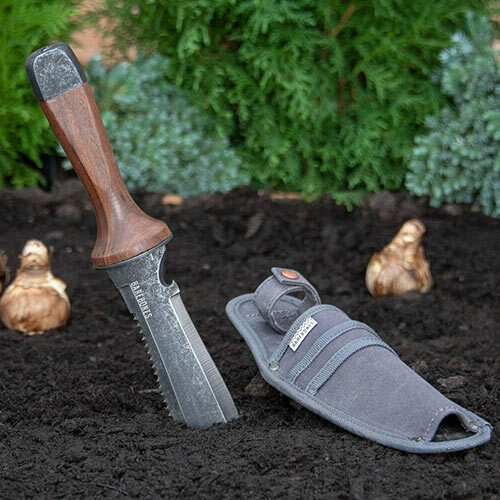 Classic Knife is intended for traditional gardening, while the Ultimate Garden Knife is suitable for both gardening and other outdoor adventures (and comes with a durable sheath for easy carrying and protection).